Medical experts today are recognizing the inadequacies of the prevailing health care system, which includes an ineffective approach to prevention, the ‘epidemic’ of chronic disorders, and the prevalence of adverse side-effects from modern medicines. These deficiencies have created a pressing need to establish a new system of health care that will address the needs and health-related concerns of every individual in every society. Maharishi School of Vedic Medicine is a new school that will be a centre for teaching and research into the most up-to-date methods for the prevention of disease, diagnosis, and treatment of existing diseases, and the promotion of longevity. The Maharishi Vedic Medicine (Maharishi Ayurveda) is founded on the profound knowledge of the relationship of human consciousness to physiology. 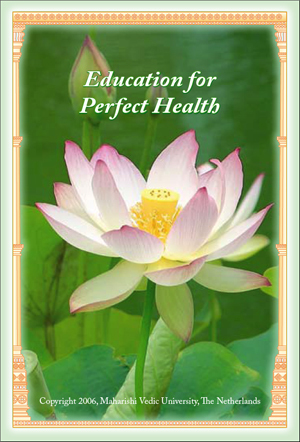 In light of recognized limitations, deficiencies, and hazards of the current medical system, including the lack of effectiveness in prevention, the large number of diseases that are considered “chronic” because there is no effective cure, and the prevalence of adverse side-effects of modern medicine, there is a pressing need to establish Maharishi School of Vedic Medicine in Switzerland.